10 WEEKS OF SOLID TRAINING AND NUTRITION. If you're looking for a new challenge, the GOLIATH PLAN was designed with you in mind. 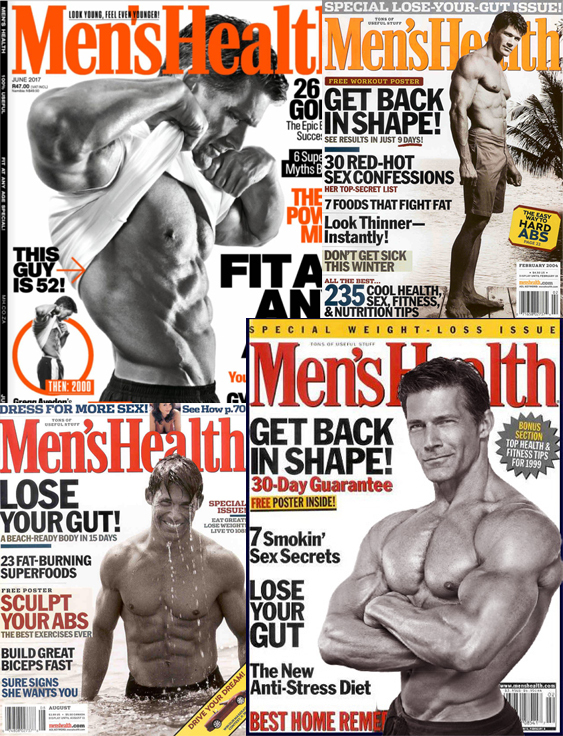 10 weeks of progressive training and nutrition designed by 20-time Men's Health Magazine cover model, author, and fitness guru GREGG AVEDON. Get ready, let's do this! You get the complete 10-week GOLIATH PLAN illustrating the exact protocol for every single day of training and nutrition. These workouts are tough. They will challenge you, but it comes down to what you want. If you want to get bigger, better, leaner, stronger, with more confidence, look no further! The only thing closer would be training one-on-one with Gregg Avedon. You get supplement recommendations designed to build muscle and maintain overall health. These are the exact supplements Gregg uses and they coincide with the 10-week GOLIATH PLAN. Let’s say you’re in the gym grinding out a killer workout and you don’t know what a particular movement is. No worries, grab your mobile device and Gregg is right there with you in the gym to demo it in less than 30 sec. You get 10-weeks of nutrition plans laid out in detail for each day on GOLIATH. And they progress right along with the workouts. The food is easy to prep, designed to build quality muscle, will help get you lean, and tastes great. The weekly grocery lists take the guesswork out of wandering up and down the grocery isles wondering what the heck to buy. Simple, concise and a time saver! Here’s an overview. You can see how GOLIATH builds every week so that by week 10 you’ll be a jacked monster! STRATEGY: You’ll train 6 days in week 1, with higher volume, higher reps, and moderate weight. The goal is to create a pump for increased vasodilation, to move nutrients throughout the body, and flush toxins from muscle tissue. STRATEGY: You’ll train 3 days this week, using heavy weight with moderate volume to set the stage for muscle hypertrophy. We’ll also increase the protein and maintain moderate healthy fats while including fibrous carbs. STRATEGY: You’ll train 6 days this week. Each body part will include one heavy day and one medium-heavy day. The protein intake is higher with moderate healthy fats and fibrous carbs. The best part – you’ll get 2 relaxed days added this week! STRATEGY: You’re gonna train 6 days this week, doing 1 body part per day to really focus on shaping out each muscle and creating symmetry. Here you’ll start with compound multi-joint movements and finish with isolation movements. High protein intake is the name of the game, while maintaining moderate healthy fats and fibrous carbs. STRATEGY: You’ll train 5 days this week along with 2 cardio days. Here we implement the “staging” method that includes compound multi-joint movements with drop sets, split sets, supersets, quicksets, or 21’s, and finishes with isolations. These are done in a specific order designed to blast every muscle fiber and create maximum growth. STRATEGY: With 6 days of training, you’ll go crazy high volume the first 3 days, and cut the volume by 50% on the last 3 days. It’s high-intensity training with traditional rep ranges to achieve maximum hypertrophy. Along with that, you’ll take in slightly lower calories and maintain a tight nutrition protocol for a lean and mean look. STRATEGY: Week 7 brings another solid 6 day training week. 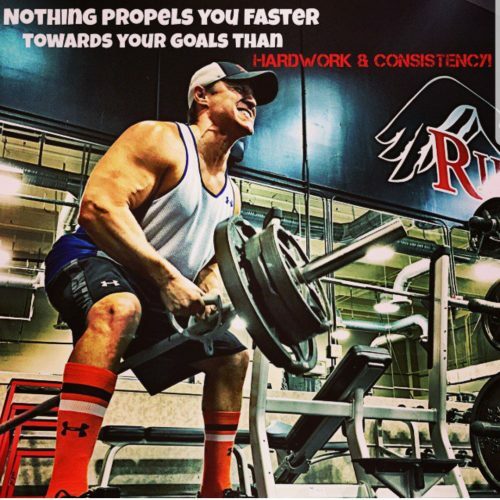 Here you’re going to alternate high volume and lower volume high-intensity training with traditional rep ranges to achieve maximum hypertrophy. Again, you’ll concentrate on slightly lower calories and taking in super clean foods to ensure lean muscle gains. STRATEGY: This week you’ll be hitting the gym 6 days again while implementing the “staging” method (like we did in week 5). This includes compound multi-joint movements with drop sets, split sets, supersets, quicksets, or 21’s, and finishes with isolations. The nutrition remains consistent to make sure that you’re continuing to get lean muscle gains. STRATEGY: With a name like Freakshow you better hit the gym nothing less than 6 days this week! The first 3 days are high volume – last 3 days lower volume, and everything is high-intensity training to pack on dense muscle. The nutrition will remain consistent to the previous weeks to keep the momentum of putting on as much lean muscle mass as possible. STRATEGY: You gotta finish strong, so of course the training protocol will stay at 6 days in week 10! Freakfest brings back into the mix the “staging” method because it works! Compound multi-joint movements with set techniques and isolation movements added. You’ll also maintain slightly lower calories while still taking in higher protein to finish with a rock solid package in the final week. Goliath Plan YouTube Channel is a great resource for any of the exercises within the Goliath Plan. If you don’t know what a particular exercise is, grab your mobile device, open YouTube and go to the Goliath Plan page—it’s all there! CLICK BELOW TO PURCHASE THE GOLIATH PLAN AND OUR BONUS PLAN ADD-ONS. Joe trained with Gregg Avedon one-on-one, utilizing the concepts of the Goliath Plan to not only achieve incredible results in 10-weeks, but kept it going to make even greater gains. Goliath will definitely challenge you, and if you’re willing to put in the work and dedication, you’ll get sick results! Gregg Avedon, NASM-CPT has been in the fitness industry for over 30 years. His dedication throughout that time as a professional model traveling the world and personal trainer have earned him unparalleled success, which is why he has perfected the art of staying in top shape year-round. Avedon has been on the cover of Men’s Health magazine more than anyone in history with over 20 covers. He has also written for Men’s Health magazine, hosted television segments for Discovery Health Channel, and was named among the top 5 best bodies in the industry by People Magazine. His other books include the popular Muscle Chow and The 14 Day Get Lean Diet. © 2019 The Goliath Plan. Copyright Gregg Avedon 2018. All rights Reserved. Site designed and built by DriftlessDev.